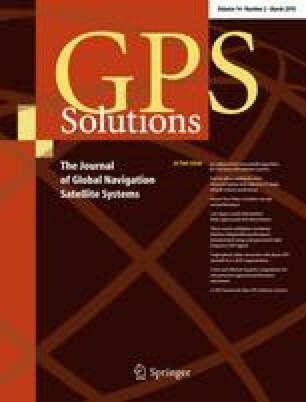 Software-based global positioning system (GPS) receivers perform all the baseband signal processing and the high level functions on a general purpose processor. The heavy computational loads of the signal correlation in baseband processing make it difficult for software receivers to operate in real time. In order to improve the real-time performance, an enhanced bit-wise parallel algorithm has been developed in this study. The enhanced algorithm has been implemented and tested in a 12 channels real-time GPS software receiver. The system consists of a radio frequency front end, a data acquisition board and software that runs on a laptop with a Pentium-M 1.5 GHz processor running the Window® XP operating system. The data acquisition board packs the 2-bit intermediate frequency samples with a 2-bit in/8-bit out shift register and transfers the packed samples to laptop through a USB port. The software running on the laptop performs all the baseband and navigation processing in real time. The test results show that the enhanced algorithm significantly improves the real-time performance of the software receiver by reducing the computational operations for signal correlation by 50% compared with the existing bit-wise parallel algorithm. Furthermore, the enhanced algorithm also reduces the amount of required memory for storing data for signal correlation.